Tetris Vs Scrabble on Iphone and Ipad. Watch Out Words with Friends! 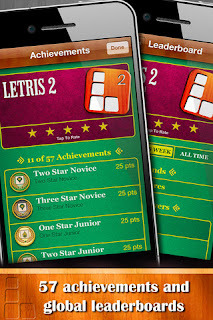 Born out of the old school russian Gaming values that made Tetris such a massive success , Letris 2 combines simplicity with app addiction. Perhaps as the game grows it will unseat Zynga's top games as the social app of choice and first impressions-especially if the Multiplayer of Letris is pushed in new directions- are very promising. Just Like Tetris you have to keep the screen clear as the tiles build up on your iPhone or iPad's screen. But there's no block or shape matching going on on your phone but the frantic need to create words to keep the screen clear. As a game concept, especially an addictive portable game concept it's very tasty , but when you factor in other gaming staples and some brilliant app features you're left with an addictive time waster on your hands. Not only will you be frantically trying to match proper dictionary words for a greater score. 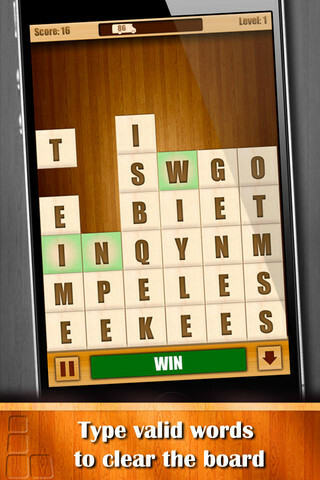 but you can also take on friends in this iPhone word game. The special multiplayer makes finding the right word for the game a competitive and fun race against other Ipad players in this addictive iPad splitscreen app. And of course unlikely as it is that you'll get bored of getting the word high score if you actually do then try out the new Letris Game Modes of Acronymus and Wordmatrix. 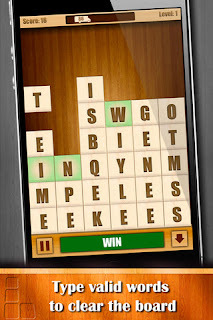 Gamecenter is also supported for this scrabble hybrid and numerous achievements for the word game await. iCloud app support makes for an integrated and totally portable hassle-free playing experience. Best catch LETRIS 2 now while it's still Free!